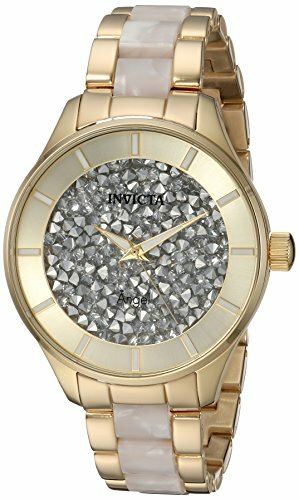 Invicta 24666 Angel women's watch features a 40mm wide and 12mm thick yellow gold plated solid stainless steel case with a fixed bezel and textured push-pull crown. Invicta 24666 is powered by Japanese TMI PC21 quartz movement. 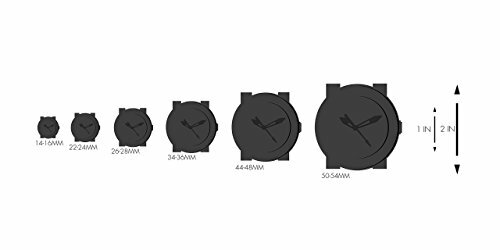 This beautiful watch also features a textured white crystals accented gold tone dial with white accents gold tone luminous hands and index hour markers, scratch resistant flame fusion crystal and water resistant to 100 meters. Invicta 24666 is equipped with an 18mm wide two tone white and yellow gold plated solid stainless steel bracelet with a fold over push button clasp. 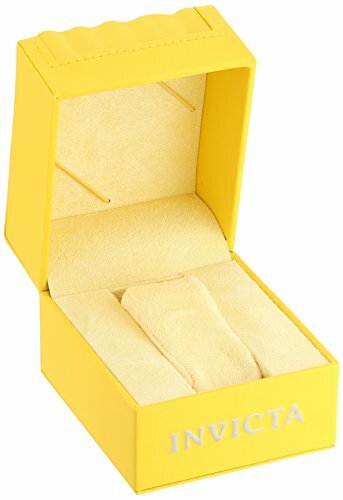 Invicta 24666 women's Angel white crystal accented gold dial two tone bracelet watch is brand new and comes in an original Invicta gift box and is backed by a 5 year limited warranty.